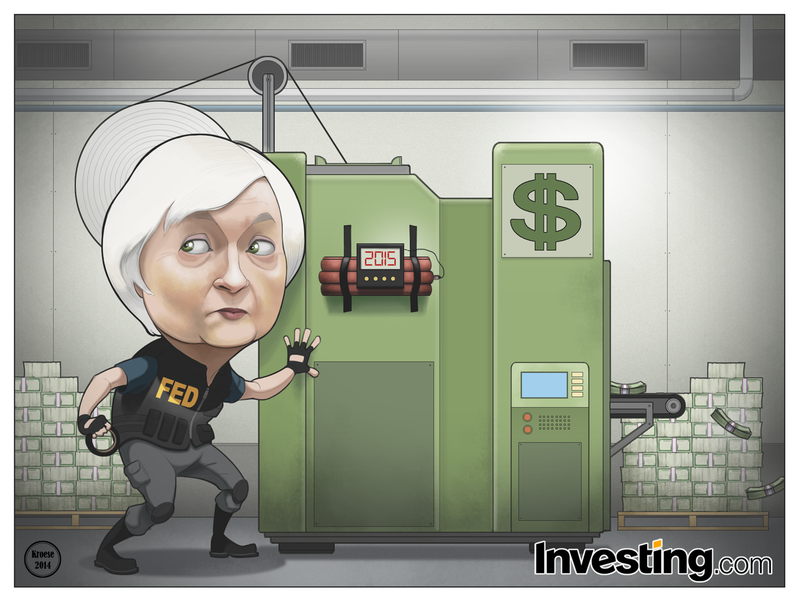 This week's comic for Investing.com has to do with a recent Federal Reserve meeting in which Janet Yellen signaled the possible discontinuation of quantitative easing in 2015. Basically (which is the only kind of understanding I have on complex financial situations), the government is going to stop pumping money into the economy. Possibly because the U.S. is climbing back out of the Great Recession. I had a good time drawing this one. It's always best for me when there's one character because it allows me to focus more attention to drawing the subtleties of that character. 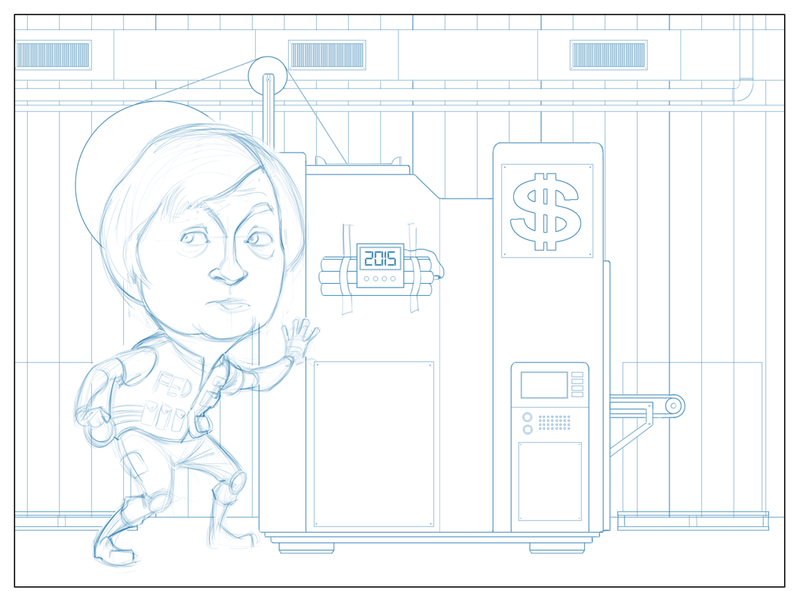 It helped that it was Janet Yellen this week, who's really fun to draw. She has unique features and an expressive face (unlike, for instance, Mitt Romney, who I always had trouble drawing). On another note, I know I've only posted Investing.com work for weeks now (not that there's anything wrong with Investing.com work, but variety is the spice of life). There's more work coming. I'm working on several jobs at the moment, but I want to wait until the work is a little more finished before I share it with you. There's quite a bit of technical illustration (some of it is space-related, some of it is environmental) and there's some design work. So bear with me.